Calling ARUP to request faxing of test results to physicians takes time and can significantly impact your daily operational efficiency. 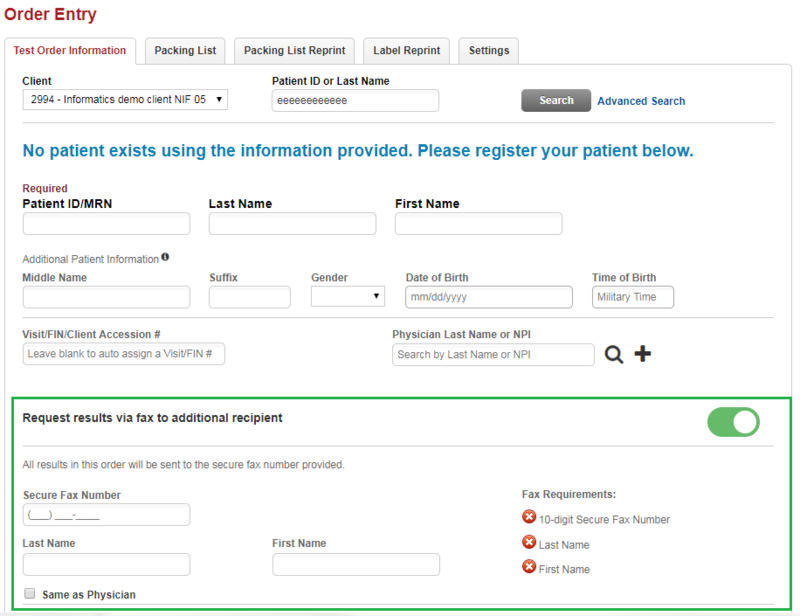 Connect Order Entry’s new fax option allows you to quickly submit a request at the point of order entry. Eliminates calls to ARUP Client Services. Automates requesting faxed test results. Decreases time to deliver actionable test results to physicians. Sends results within minutes of when testing is complete. Enables you to provide high-quality customer service to physicians with less effort and cost. Fields for recipient’s first and last names and a secure fax number. Ability to fax test results for each order to one number. Results for all tests in an order are faxed.